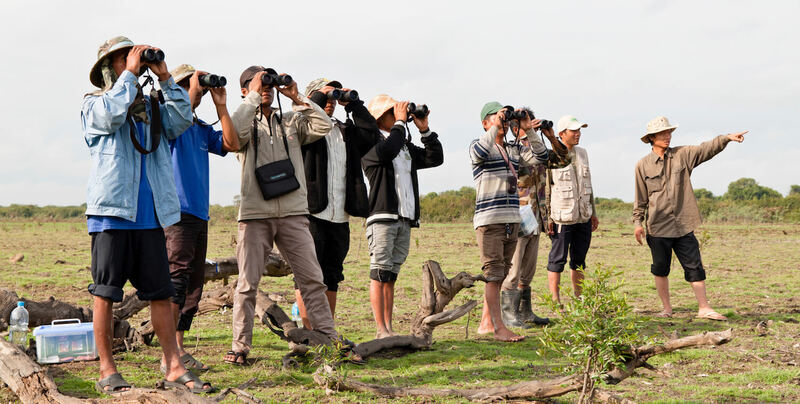 Birdwatching by local researchers in Cambodia. We're really excited about our new website—it's easier to navigate, mobile friendly and offers brand-new features, including a conservation learning section. To celebrate, we've created this short "scavenger hunt." Email us the correct answers to the below four questions by Friday 16 March, for the chance to have your CEPF-funded project featured on our homepage. There have been approximately how many CEPF grantees in over 92 countries and territories? How many global donor organizations support CEPF? How many biodiversity hotspots is CEPF currently investing in?